Discussion in 'Fedex Freight' started by B. F. Fontaine, Mar 7, 2018.
roundabout, jimmy g, SMOKESTACK and 4 others like this. It would be nice to see the breakdown on the number of terminals at each level. 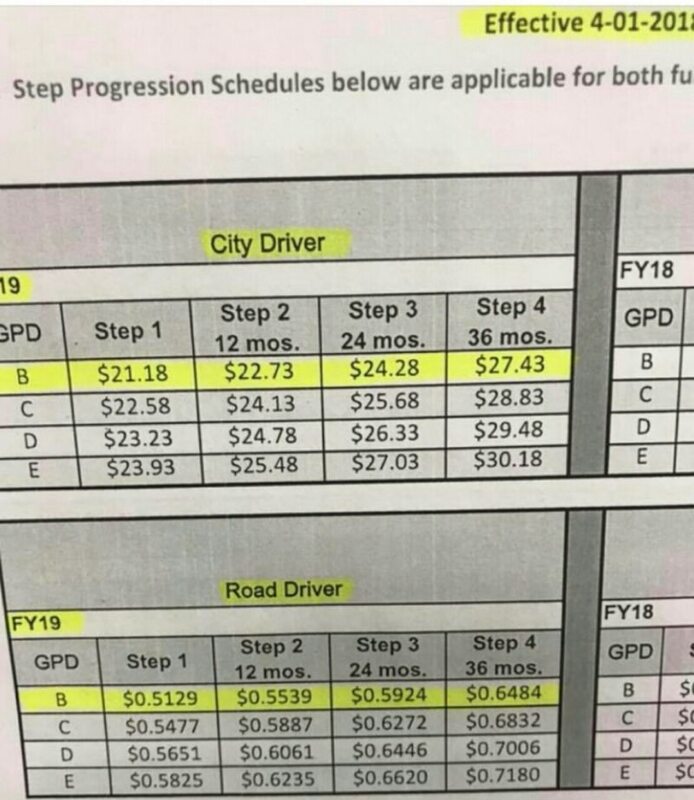 When I left, our topped out road drivers, on the premium runs were making almost exactly DOUBLE what a city guy took home. Driver shortage nationwide. EVERYWHERE I go, I see "Hiring CDL drivers! Sign on bonus!" One stretch on Hwy84, less than 60mi long, has no less than a dozen places begging for drivers. Fx got it's taxes MASSIVELY cut with Trump's plan, and they toss the driver a whopping $1.10hr, 6mo early? Still blows my mind that even now, they treat drivers as something to be tollerated. I never did mind the job, environment, management, but it finally got to the point where they simply were not paying enough. Bottom line. The industry at large suffers from that problem. The carriers can't wait until they don't have to pay someone to move the freight anymore. jimmy g and truckingBORED like this. The next modifications to the trucks, and fork lifts, will be the removal of the seat, and steering wheel. Finally someone willing to share the facts. Great info! jimmy g and Elwood like this. Now, if we could just get the sensitive and shy among us to match locations with rates... We could easily show the flaws in the system. Oh, wait, we already did that, on a relatively small scale. Sadly, it all comes down to staffing. As long as drivers are willing to sign up, and stay, there will be zero changes. The fact that not a single location has been "identified" for increase (in years), shows the deception... The narrative of competitive wages being constantly monitored is not credible. One look at Charleston, SC shows it's nonsense. Again, it would be great to match the locations with the rate... Certainly a valid factor is any decision to transfer. troubleman84, icuicp and B. F. Fontaine like this. Matching locations with tiers will do nothing more than piss off those who are already pissed off!! As stated before, there is various criteria that determines the scale at which your center will fall and the one that carries the most weight is driver retention...period. Its not COL, it’s not the size of the center, etc, it’s how many drivers do they have to replace during X amount of time...they figure if drivers are willing to stay for 5-10-20 years then the wages/bennies MUST be right where they need to be, otherwise they’d leave. LTL Trkr, Luckster and White like this. You seem to forget the reason for the last adjustments. The Union was the only reason and there hasn't been not one adjustment since. goin postal, Old dude, troubleman84 and 3 others like this. Oh I agree. In fact, I think we've proven it to be the case. For many, when they started, we were the highest paid non-union carrier. No longer true. Not that wage is everything, but ignorance of the changing market contributes to complacency. I'm less concerned about the specifics of the four scales and more concerned about the various locations and their competitiveness (or not) vs the competition. One might think it's all relative, but in fact, in many locations it is not. Someone transferring from Hickory (or Charlotte) to Charleston will be in for a very rude awakening. A move the other way would be a significant move up. B. F. Fontaine likes this. And then there is that... a strategic "adjustment". The drivers in CHS have requested a meeting with Mr. Ducker to discuss the GPD. Let's see if we get the opportunity? The Point and SwampRatt like this. Don’t hold your breath...well, you can!! So I’ll bite...why so “concerned about the various locations and their competitiveness (or not) vs the competition”?? What does it matter, just curious?? Concerning transfers, I don’t believe it’s as big of a deal as you make it out to be. 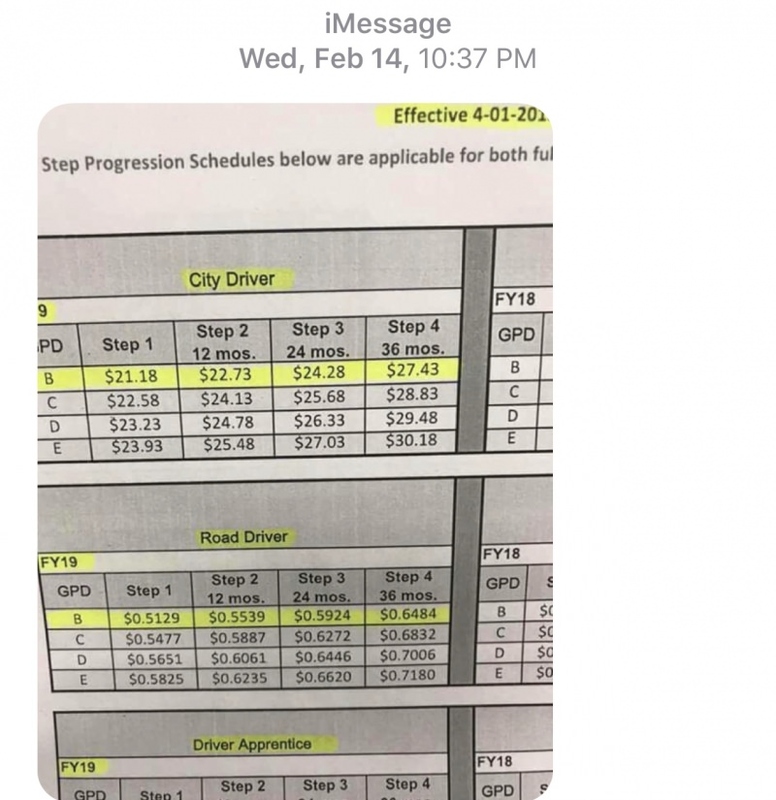 We just had a road driver leave CLT to GSP and moving to a lower tier didn’t stop him from going...and we’re continuously hiring city drivers off the street instead of drivers from CHS knocking down our doors to make more money. I'm sure you don't, but it's the truth. You would have to be death, blind, or stupid to believe otherwise. Like always you can't read in between the lines. I'm sure you have already seen the bosses email.